First, we want to EQUIP PARENTS TO LEAD THEIR CHILDREN TO KNOW, LOVE AND FOLLOW JESUS. God has commissioned parents to pass their faith to the next generation (Deut 6; Eph 6; Ps 78) and parents need help to succeed. So we work hard to provide training, tools and encouragement so you can succeed in that commission. Second, we want to PROVIDE A SAFETY NET SO EVERY CHILD HEARS THE GOSPEL. We know that not every parent will or can (yet) lead their child spiritually. That's why we make our second priority to clearly present the Gospel to every child. 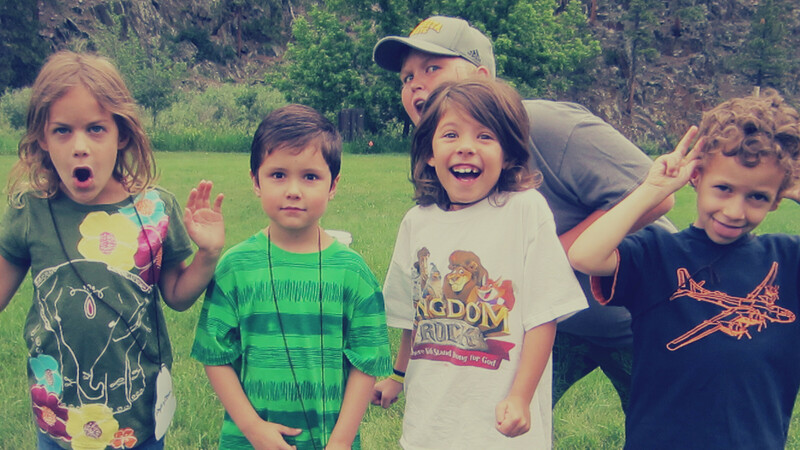 Kids in our ministry will experience Jesus' grace and love through the people dedicated to serving in kids. Please take advantage of the training, resources and environments we provide that will help YOU accomplish your commission. May 3-5. Opportunity for kids to grow in faith and have fun doing it. For grades 1-5. $100 registration. Scholarships are available. Express your interest to Boomer to receive a permission slip, or call the church office. Spots reserved with payment. Parents, there are service projects at Trails End Camp. If you would like to help, during the 3rd-5th of May, please contact Boomer.